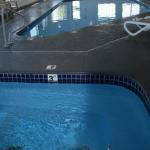 Located in Prineville Country Inn & Suites By Carlson Prineville offers 3-star accommodation with a fitness centre. Among the facilities at this property are a 24-hour front desk along with free WiFi throughout the property. The hotel features a hot tub and a business centre. Bend is 48 km from Country Inn & Suites By Carlson.